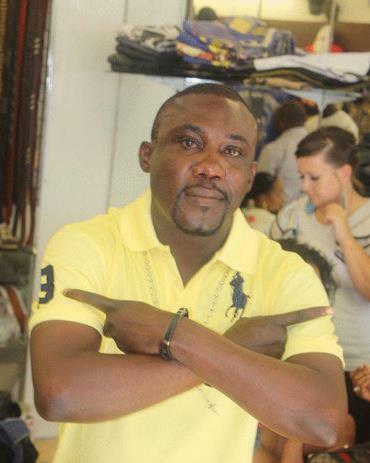 Popular Fuji musician, Sunny T is dead. The songwriter-performer, who became wildly known in the 90s as ‘omo nna to’n ko fuji (the Igbo man who plays Fuji – a predominantly yoruban music), died this morning, according to his label boss Sarolaj, who spoke with NET. Sarolaj (also known as Tunji Sarumi, who owns Eru Owa records, perhaps Nigeria’s most successful and enduring fuji label), says The late Sunny T performed in Epe on the outskirts of Lagos last Friday. ‘He was very Okay’, he told us over the phone. ‘He even performed on Friday and came home yesterday. He woke up around 4:30am today, he complained of cold, and asked to have some warm water to bathe with.’ ‘He went into the bathroom, but came out without having his bath. Then he sat on the bed ans started breathing hard’. Sarolaj said We’re told he was rushed to the General hospital in Ikeja, Lagos, where doctors attended to him, before he passed on. ‘He was a young man who had been with me for decades. He release his first album with me and we are still working together. This is very sad and shocking’, Sarolaj tells us. We could not immediately speak with any family members. Sunny T Adesokan we’re told, is survived by his wife and kids. His last album ‘Capable, was released in August 2011.